It’s hard to explain India and the happenings of daily life to those only experiencing it from the other side of the screen. Each city (9 now) has been exceptional with providing a new stimuli through color, smell, or noise. This evening I write at the end of a three day adventure from the city of Varanasi. 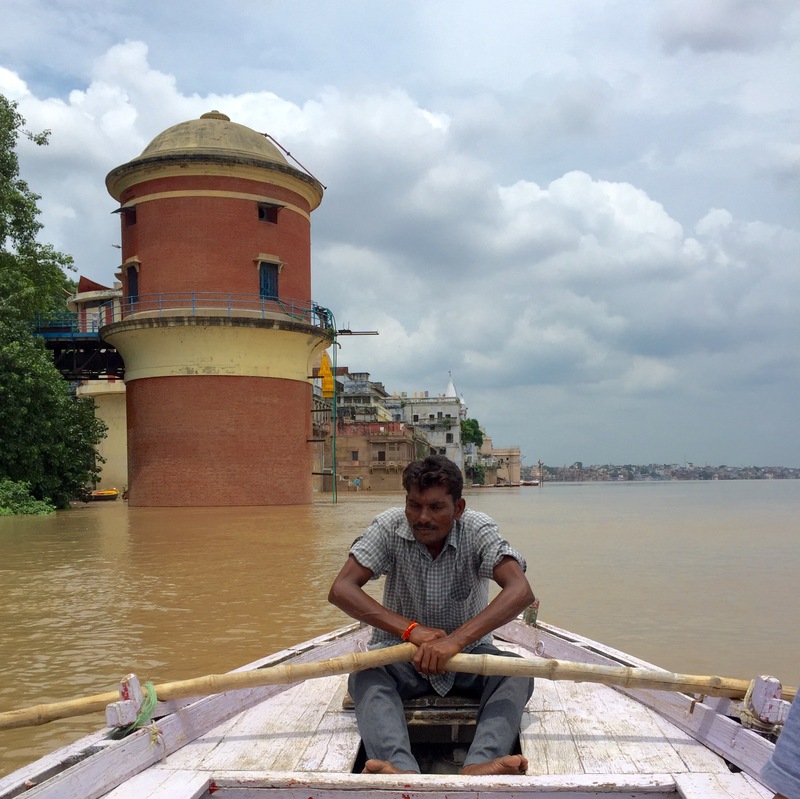 It’s different than the other northern cities of this subcontinent because of what happens here along the west side of the river Ganges. Thousands flock to this city during the final stage of life; death. 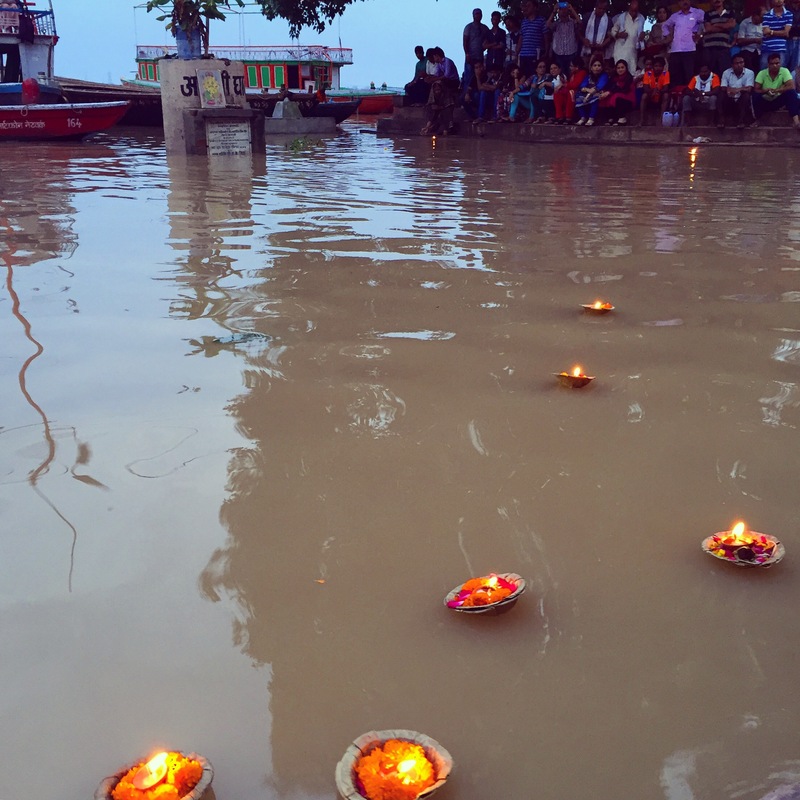 Bodies are cremated and their ashes scattered into the river to achieve Moksha, or the release from the cycle of reincarnation. While exploring the narrow alleys of the old city on any given afternoon you will see processions of men carrying a body wrapped in fabric, white for a man and orange/gold for a woman. They are carrying the recently deceased to be burned in order to release from th cycle of reincarnation and into peace. During my afternoon jaunt I encountered four processions, all wrapped in orange. 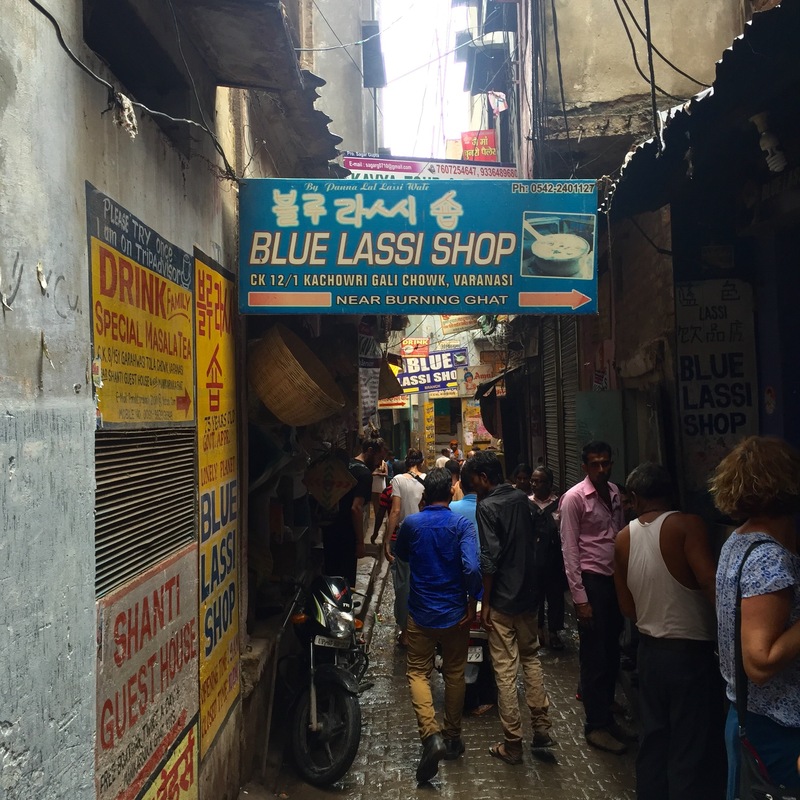 After taking in the symbols and meaning of this city it was time to explore the culture and cuisine. Going out for a meal is always an adventure in India, partly because I can’t understand most of the menu and transport is chaotic. Being a holy city, alcohol is harder to come by than other cities. After finding a “rooftop” restaurant and bar via Google we ventured by tuk tuk (small 3 wheeled motor transport). The restaurant was on a sparse city road 20 minutes ride from the hotel. Upon entering it was clear there was no viable rooftop or bar to be seen. The decor was a failed attempt at contemporary 90’s Asian/European fusion. A single tv mounted on the back wall played syndicated Bollywood series adding to the ambiance. The cieling had plastic panels to cover the fluorescent lights with opaque colorful designs on them. On occasion when looking up there was a silhouette scurrying around the panels. The figure was that of a plump, vivacious rat. It performed it’s shadow dance through out the evening but was interrupted when the lights went out. Before eating but after having drinks the lights cut out. Thankfully being equipped with a smart phone also means you have a flashlight. The food was the saving grace and provided a reprieve from the faulty lights and fact that a rat was moments from falling into our plates. Another satisfying curry with a story to boot. 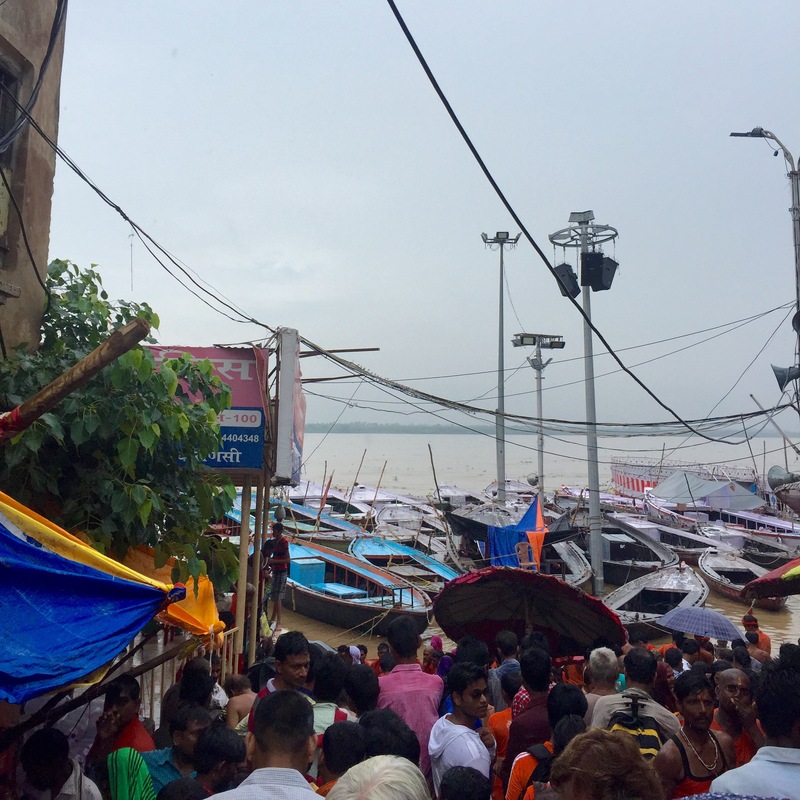 Varanasi didn’t disappoint.This city holds an energy that is as strong as the current of the adjacent river.